I like to audio record stuff, and have since I was a kid. I recently got a Sony ICD-PX820, which records to MP3 files, accessible through USB, which is super handy. It has a proprietary database file that contains the time and date of the recordings, and probably some other information. I somewhat recently reverse engineered this file enough to retrieve some information out of it, and made this available through github. One of my minor issues with it, is that although it does record decently through the builtin microphone, it's mono and of limited dynamic abilities. I found that I could get decent recordings by using the stereo mic I bought many moons ago for use with my DV camcorder. 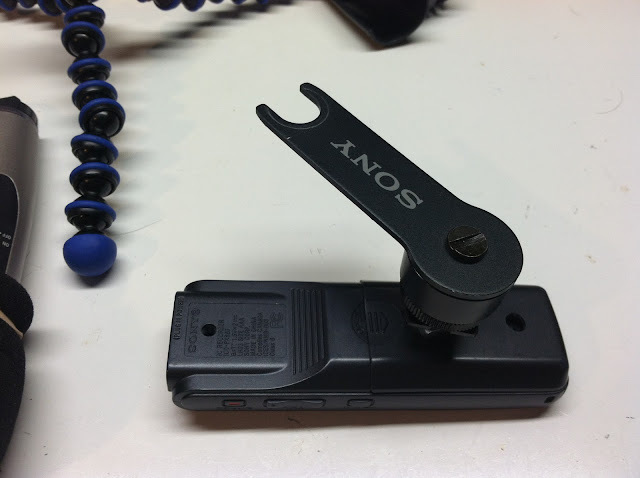 The Sony has a mic jack on it, which is perfect, but it only has two gain settings "High" and "Low". 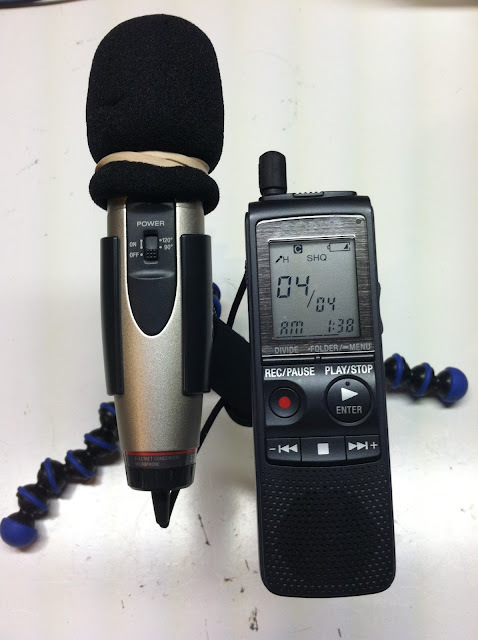 It's enough to get by, until I buy a real portable recorder. The one problem I had with this setup though is that there was no way to easily carry it. 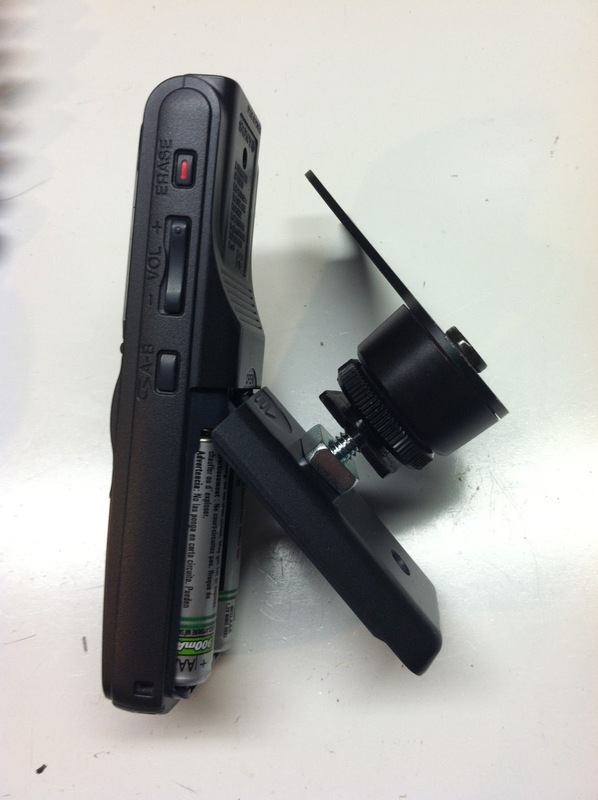 I decided to make some sort of mounting adapter to attach the microphone to the voice recorder. 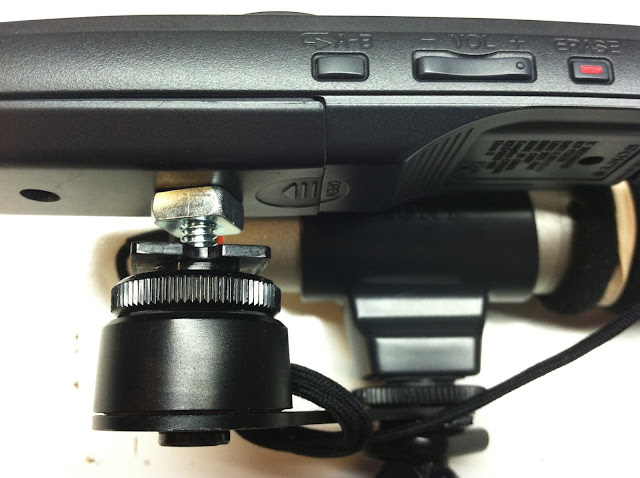 The mic came with a clip with a hotshoe/tripod mount on it, as well as a little extension arm which also has the same abilities. I decided that the best way to take advantage of this was to mount a screw through the case of the voice recorder, and attach the mic to this. I started by mapping out the best locations for screws. I decided to make two holes, so that I would be able to switch it around if I needed to. 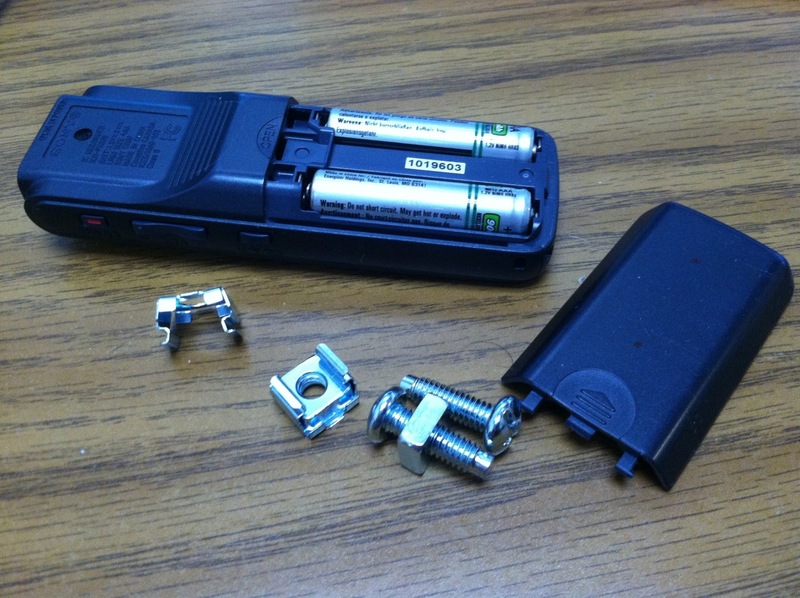 The screws I have, have heads that are a little too rounded, so they force the battery cover up a little bit, but it's good enough for now. In the future, I'd like to try flatter-headed screws for this design. 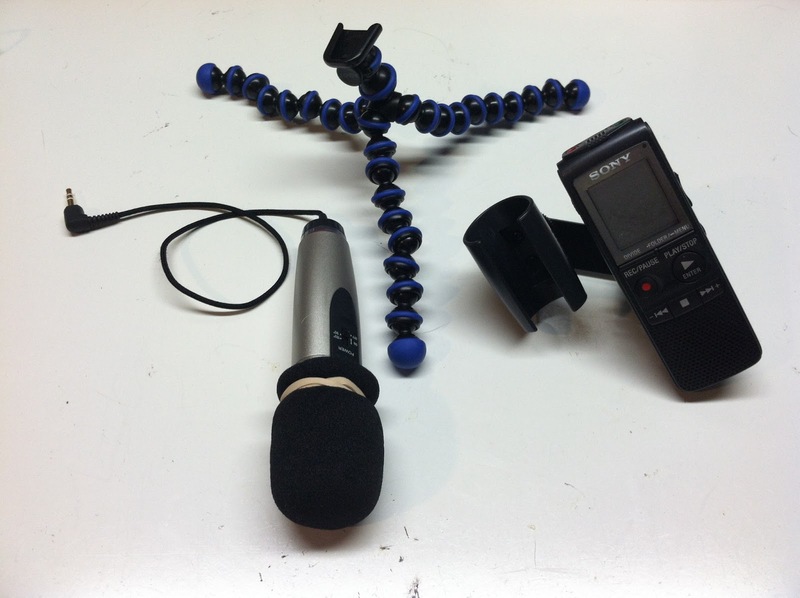 I'd also like to perhaps try a 3D-printed thing, which the voice recorder can be snapped into, and the microphone slid into the bottom, to make it more sleek.